Today we set out for our first go at orienteering! Crystal is such a motivating person, and it’s so fun to have friendships that involve the outdoors and physical activity at every chance! A couple weeks ago she tried orienteering with friends, and I knew I couldn’t turn down the chance to try something new when she mentioned doing it again this weekend! 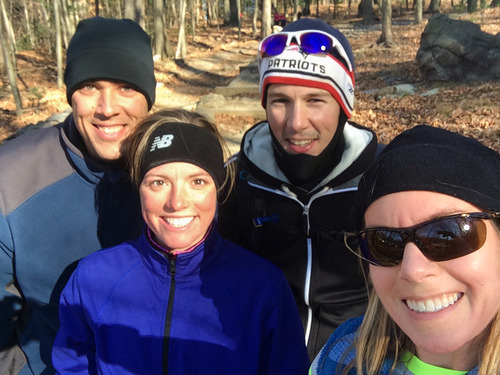 Joe, Crystal, Dave and I set out on the trails of the Blue Hills Reservation in Milton, MA around 10am this morning. 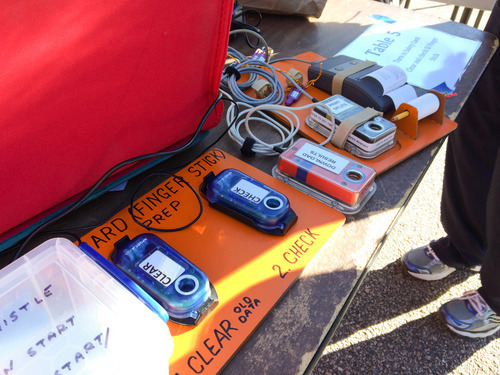 The way orienteering works – in simple terms (all I know) – is that you check in to get your control card and a map of the specific control points you need to find along the route. You set off, as an individual or group, using a compass and clues on the map to discern your best strategy through the terrain, and then you “race” to the finish. Truth be told, we had a miserable time finding the START of our first course, ha ha ha! Okay, and maybe the first control point too… but soon after, we were cookin’ like gravy! We did two courses, white and yellow, each totaling about 2 miles of coverage. 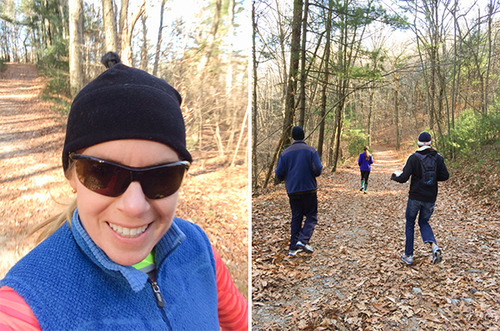 There was less “running” than anticipated, because of the rocks, roots and leaf cover along the route, but it was so damn cold (22 degrees) that we kept moving as quickly as possible. 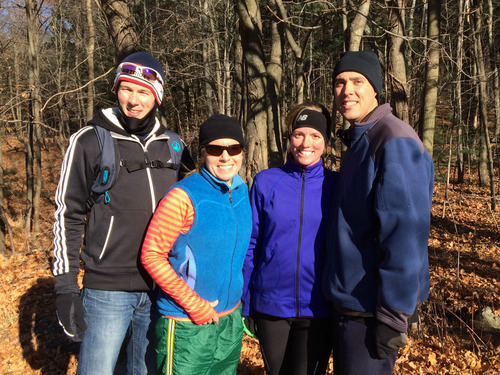 The day was a huge success because we were outdoors, with friends, and moving our bodies! Nothing better on a Sunday, particularly in winter temperatures (and earning a night full of football and beer of course)! I’m definitely interested in trying this again, and maybe earning our way up to a full traverse or mountain run. 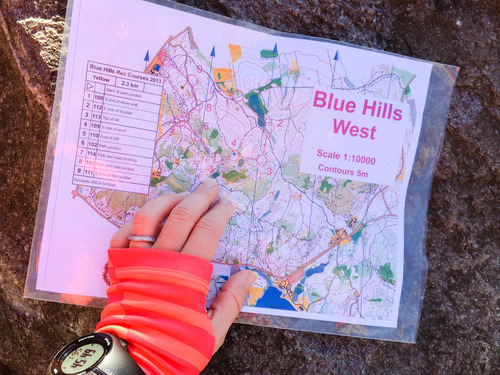 I recently read the book Mud, Sweat & Tears, by Moire O’Sullivan, about her mountain running journey in Ireland, and that definitely helped to feed my excitement in trying orienteering first-hand! Thanks to this great group of friends for an adventurous day! 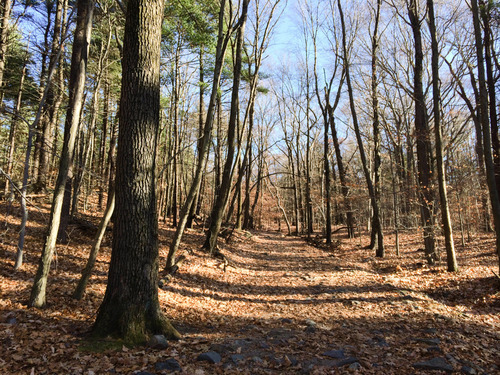 And thank you to the New England Orienteering Club for all your hard work! Till next time! How ‘bout you? Have you tried orienteering in your area?